Can science explain why people give to charity? Charity will be a great topic for sermons in the church to talk about the good virtues of helping the poor. However, the topic, charity, may seem to be out of range for science except if the preacher happens to be a "preacher scientist". Although people have to work for their money, it is not unusual to find out that people often give out part of what they earn. We can assume that this is out of goodwill or desire to help others who are less privileged. But scientists don't believe in assumptions. In science, assumptions are modified into hypotheses. These hypotheses then become the questions that scientists hope to find answers to. This will then be followed by experiments to test the hypothesis; making observations and collecting necessary data to make sensible judgment rather than assumptions. A recent research article from PLOS ONE titled "Why do people spend money to help vulnerable people?" seeks to find out this answer. It is known that people will always defend their own interest first. But why would someone want to give? For example, the Bill and Melinda Gates Foundation by the Microsoft giant, Bill Gates, and his wife, Melinda is popular for contributing greatly to charity. 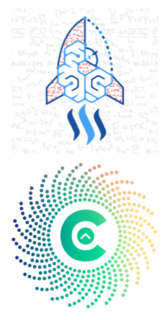 Their activity range from funding of science research to donations to the developing countries. Bill and Melinda are said to have donated to the foundation more than $35.8 billion [source]. The richest man in Africa, Aliko Dangote, is not left out of this. His foundation, Aliko Dangote Foundation, focuses its charity on health, children education and economic empowerment through creation of employment. Charity is not limited to the world richest people. People who earn a lesser amount of money still contribute to charity. This list may also include you so let's find out why you or other people give to charity. It will be important to understand the concept of prosocial behavior to have a basic background on this topic. This concept explains the act of helping others either in the form of giving to charity or even other actions such as donating blood or volunteering in various social services. This behavior is not new in human history and it is also observed among animals that live in a social group . However, it is important to know the motivation for this behavior. Why do people engage in prosocial behavior? The researchers were curious to know the reason why people engage in prosocial behavior, especially giving to less vulnerable people. Is this prosocial spending is as a result of previous exposure to donation? In other words, if people were made to donate the first time will they be willing to donate again? Also, will people be willing to donate more if their first donation was of a free will without being required to donate a specified amount? I promise I don't want to bore you with all the procedure but it is necessary I explain the little way I can. I will keep it brief and easy to understand. The participants for this experiment were undergraduate students and they were divided into five groups to test for these hypotheses. The procedure for participation was divided into five steps which involve the signing of consent document, filling the questionnaire, prior exposure (or no exposure) to NGO donation, a few minutes break and the final decision to use the free voucher that will be given to every participant. Actual money was not given but this voucher could be used in the university store or cafeteria or for donation to NGO. Two out of these five groups were designed as control groups. This means that they did not have prior exposure to donating to any NGO. The other three groups have prior exposure to NGO donation. Out of these three groups with prior exposure to NGO donation, two groups were obligated to donate to NGO. One group will donate a fixed amount while the other can donate any amount of their choice. The last group, however, have the liberty to either donate to NGO or not. The amount that each group donated was used to evaluate the prosocial spending of the group. Enough with the procedure. I promised not bore you with these details. Let's conclude already by talking about what they found out. Do people spend more money on charity if they have been exposed to a prosocial donation? The answer is yes. The researchers found out that people will react positively to a similar stimulus that they've been exposed to before. And this is also true in the situation where there is prior exposure to donation. People will react positively to stimuli that they have been exposed to than a new stimulus . 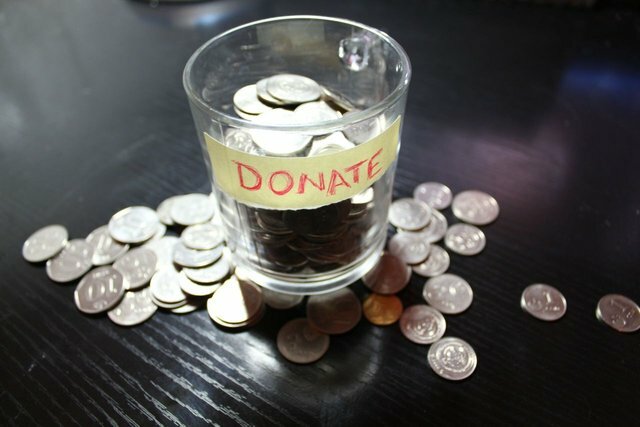 Another hypothesis seeks to confirm if people will donate money to vulnerable people if their first exposure was out of free will or a fixed amount was to be contributed. To this, they find out that there is no relationship with the willingness to give at the first exposure and amount given in subsequent donations. The result shows that people who have been exposed to prior donation, either fixed or voluntarily, will still give more than those who have not been. However, the third hypothesis was confirmed which means that people who gave a compulsory fixed amount in their first exposure will give less in subsequent times. And finally, the result shows that there is a positive relationship between Eudaimonic beliefs and prosocial spending. What this means is that people feel more positive that they have been able to contribute to the well-being of others. This feeling becomes more positive when people are allowed to decide the amount they were willing to donate than when a fixed amount is required. So in conclusion, people who have been exposed to charity donation will be willing to give more than people who have not been. Also, people who believe that they are contributing to the well-being of others through their donations will generously give more. Cronin, K.A. (2012). Prosocial behaviour in animals: the influence of social relationships, communication and rewards. Pătraș, L. et al. (2019) Why do people spend money to help vulnerable people? I don't know that I give because I have been the recipient of things in the past. I give because I can, and why not? I don't know how much this actually explains why people give money to charity. It mostly just finds a correlation, but what's the underlying reason? I think most biologists would answer something like 'signaling'.